Are you looking for an Invisalign orthodontist in Rochelle Park NJ? Dr. Milestone and our team of professionals at Milestone Orthodontics specialize in the personal care, experience, and resources to help you attain the beautiful and healthy smile you deserve. Where Can I Find An Invisalign Orthodontist In Rochelle Park NJ? At Milestone Orthodontics, our goal is to provide affordable high-quality orthodontic care including clear braces, Invisalign, and Invisalign Teen in Rochelle Park NJ, Paramus NJ, West Orange NJ, Montclair NJ, and surrounding areas of Essex County NJ. Invisalign is for patients of all ages! The benefits Invisalign offers can be valuable in multiple ways. Unlike traditional braces, Clear aligners are designed to be virtually invisible and fully removable throughout treatment. 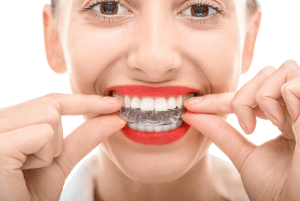 There are certain orthodontic issues that can be treated more efficiently with braces, but clear aligners are effective in treating most common issues including misalignment, overcrowding, irregular spacing, overbite, and underbite. Don’t make your orthodontic treatment process worse then it has to be! Invisalign offers all of the benefits and results as standard braces, without the restrictions and limitations that come with it. Clear aligners are removable, allowing patients to continue enjoying the foods they love. Invisalign is made with comfort and durability in mind, so clear aligners will never affect your social or professional lives. The Invisalign cost can be slightly higher than the braces cost in some cases, but Invisalign treatment features advantages that many of our patients consider as priceless. Invisalign is completely removable whenever necessary, which is ideal for brushing, flossing, and maintenance. In addition, Invisalign allows you to eat whatever you want with no diet restrictions at all. Instead of bulky and annoying brackets, clear aligners are made of smooth, lightweight thermoplastic designed for premium comfort. Dr. Milestone and our team of experts at Milestone Orthodontics specialize in orthodontic care. We are available to answer any questions involving Invisalign, Invisalign Teen, braces, or clear braces in Rochelle Park NJ, Paramus NJ, West Orange NJ, Montclair NJ, Nutley NJ, Verona NJ, and surrounding areas of Essex County NJ. Contact Milestone Orthodontics today to schedule a complimentary initial consultation. Call now (201) 845-8411.